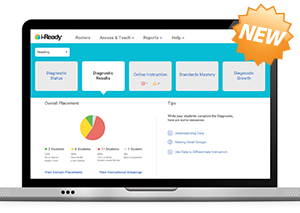 Whether you’re new to i-Ready or an experienced user, we want you to learn about all we’ve done to make i-Ready even better. With teachers and the classroom in mind, we’ve redesigned i-Ready with the input of educators just like you. 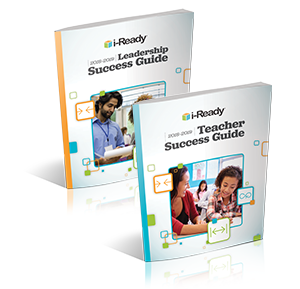 The even better i-Ready is designed to support you help your students achieve greater gains. Log in to i-Ready now to see the difference. We’re here for you with videos, downloadable resources, answers to your frequently asked questions, and more. With these resources, you will feel comfortable and confident using i-Ready so you can focus on what matters most—teaching your students. Short on time? Check out the resources with a next to them. Teachers, looking for in depth tour? Watch the recorded webinar. Leaders, looking for more information on your new reports? Watch the recorded webinar. This school year i-Ready is even better. 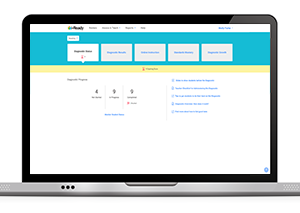 A completely redesigned teacher experience puts the information you need front and center with a significantly redesigned administrator experience. What else is new? 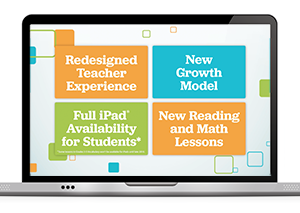 Differentiated growth measures, new lessons for K–5 Mathematics and K–5 Reading, and the entire student experience available on supported iPads®. These videos and resources will help you learn more. Getting started? Watch the tours below to see how to get around the new i-Ready and learn where to find reports, how to manage students, and other key information and actions. Getting the most out of i-Ready means knowing what actions to take. These videos and resources will walk you through the most important actions and reports in the new teacher experience. When you’re using i-Ready, you can always visit Help, or select the ? in the bottom right corner of every screen for additional support. i-Ready’s new growth measures are based on the research of millions of students using i-Ready and what teachers have long observed in classrooms: students at different starting points often grow at different rates. Students who are behind also need to grow more to reach proficiency. 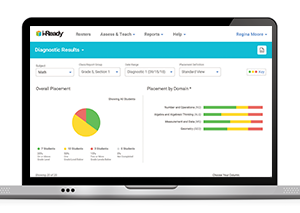 Rather than offer one-size-fits-all targets, i-Ready now provides two complementary growth measures based on students’ beginning-of-year data from the i-Ready Diagnostic. Teachers: Take these support resources with you into the classroom and share them with your colleagues. Leaders: Use these resources to spread the word and support your teachers in getting the most from the new educator experience. Still have questions? 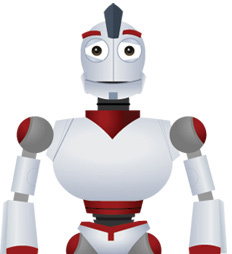 Visit our Even Better i-Ready FAQs! To see how other educators are maximizing their i-Ready experience, follow us on social media!